New Grants Means . . . New Projects! The grant writing experts at MPA have been hard at work early this year to raise funds to save threatened buildings, and we are happy to announce new projects to take place over the next two years! A ca. 1920 view of downtown White Sulphur Springs. MPA is delighted to announce a partnership with the Montana Business Assistance Connection (MBAC) to make downtown revitalization happen in four rural Montana towns. With a major grant from the Steele Reese Foundation and a survey grant Montana History Foundation, MPA and MBAC will work with East Helena, Townsend, Augusta, and White Sulphur Springs in a community-driven heritage development process that MPA is rolling out statewide to revitalize struggling historic towns. Vacant buildings are both a symptom and a cause of serious civic decline, and our project will offer critical intervention through which communities will receive training, inventory their assets, identify properties they hope to save, assess their potential to meet community needs, analyze building deficiencies, assess feasibility of redevelopment, outline preservation plans, identify funds and financial incentives, and establish partner relationships with rural development groups. MPA has already conducted field work to produce an asset inventory in White Sulphur Springs and will hold kickoff meetings in each town in September and October 2018. The goal of the project is to help Montana’s small towns identify heritage development opportunities, create community-specific redevelopment strategies, and launch redevelopment of key properties empowering communities to build their future upon the foundation of their past. Each heritage property successfully redeveloped will pave the road to economic health and open the doorway to more economic and cultural opportunities. The Montana Heritage Commission (MHC) has partnered with MPA to restore the Grace Methodist Church in Virginia City. MPA produced a condition assessment and will next plan and oversee a complete restoration, with funds from the legislature and additional funding that MPA is helping to raise. So far, MPA has secured $10,000 from the National Trust for Historic Preservation’s Cynthia Woods Mitchell Fund to assess and plan for restoration of historic wallpaper and plaster. One element of the project will be a preservation training in partnership with National Park Service (NPS) Vanishing Treasures program in spring of 2019, which will address window restoration. Other grants are pending, and as always, we have high hopes that we will be selected. While Evelyn Cameron’s photos left an outstanding record of rural Eastern Montana history, the historic theater where they are housed needs a bit of work. 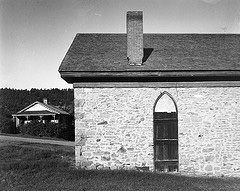 The Evelyn Cameron Heritage Museum received a grant from the Montana History Foundation to repair 26 of the museum’s historic wood windows. MPA will match with a curriculum-building grant from the Historic Preservation Education Foundation, and lead a hands-on training and restoration project. Additional funding is needed to complete all 24 windows, the MPA crew will start this fall on this great project to save the theater’s windows. Cycle tourism in Ovando has helped bring new businesses to town. 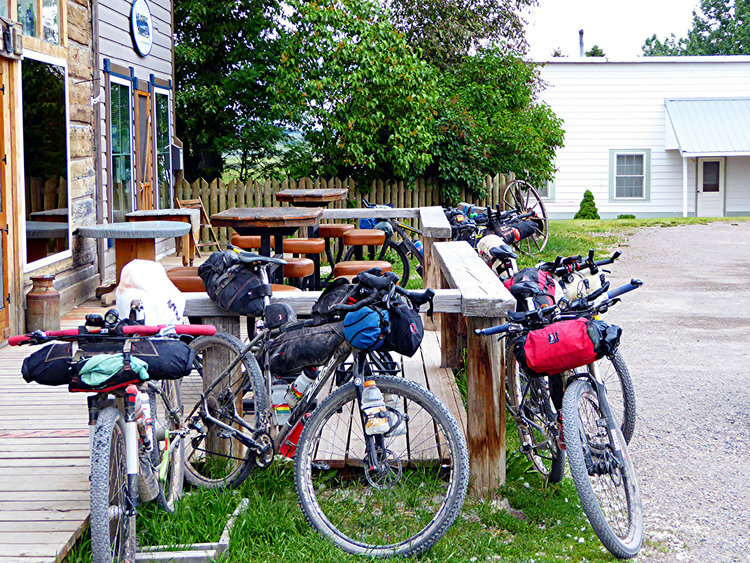 With funds from our friends at the 1772 Foundation, MPA with help from Adventure Cycling is studying heritage properties along popular bicycling routes and identifying historic buildings that could be repurposed to meet the needs of touring cyclists. We’ll be looking at at-risk properties, and case studies to create feasibility recommendations for potential bike-related development.